Our editing company, which has more than 10 years of shot improving experience, now is eager to give various tempting chances for young talents, who are eager to work as digital retouchers. Our online post-production team needs to be extended due to the constant and impressive flow of clients. For this great reason, we are in search of new specialists, who have a bright desire of making a successful career in online photo editing jobs. Although we realize that to find retoucher is not an easy task. - EXPERT with Wordpress (this cannot be emphasized enough). - E-commerce platform experience; understanding of full process from start to end. - Effective communication (both written and verbal). Must speak FLUENT English. We need someone who is dedicated and talented, and has GOOD experience in this field! Please don't apply if you don't have a portfolio or a show of reference at least. This job is demanding, and very high end and we require someone who is able to keep up with it. Job description: Digital Specialist required for a Dubai based advertising agency. Should be able to independently handle the entire digital portfolio. Communication Legal Translation, the leading translation office in Dubai seeks to appoint a Digital Marketing Executive to implement and oversee its online marketing strategy. • Content writing for website, social media, blogs and articles; etc. • Perform multi-dimensional analysis through Google analytics and other tools. • University degree and at lease 5 years of verifiable experience. An exciting opportunity has become available in one of UAE’s well-established Event Management Company, making room for strategic minded Client Service Executive. A team that provides excellent event and client service experience. Excellent client facing skills with the ability and confidence to set up new business opportunities and hold new client meetings. Involving the event team to win new deals as a team and interact closely with the client to ensure smooth interaction and successful execution. Strong negotiation & decision making skills. Has strong command in Arabic both oral and written. Minimum 3 years’ experience in the Event / Media industry. make - up brands in Dubai for long term cooperation. Only serious candidates can apply. Good salary package + commission, full training will be provided. Salary package will be offered to selected candidates. Fossil Group is a global company specializing in the design, innovation, and marketing of fashion lifestyle and accessory products. At the heart of Fossil’s vision is a commitment to fostering creativity and delivering the best in design through the company’s namesake FOSSIL brand and a portfolio of internationally recognized owned and licensed brands. The FOSSIL brand is rooted in authenticity and a distinctive modern-vintage design aesthetic. With nearly 400 stores worldwide and a strong global e-commerce business (www.fossil.com), Fossil is internationally known for its eclectic assortment of lifestyle and accessory items including watches, jewellery, handbags, and clothing. The company is constantly developing its multi-brand portfolio through its core competencies in innovative branding, world-class design, and dynamic global distribution. We are currently searching for Experienced and Talented Account Executives to join our expanding Dubai office. As an Account Executive for U.A.E you will support and work with a designated key account in UAE in order to improve assortment quality and sell-through, whilst ensuring adherence to Fossil and Licensor guidelines enabling us to react better and quicker to brand and customer needs. 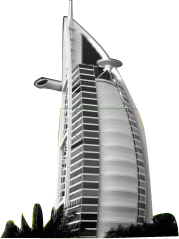 • Experience in Luxury Retail Markets and business in U.A.E. bachelor’s Degree in a related field and at minimum of 2 yrs. Of prior design experience / social media in a professional environment preferred. • Proficient in Adobe creative Suite (in design, Illustrator, Dreamweaver, and Photoshop). • Positive attitude, detail and customer oriented with good multitasking and organizational ability. • Quick learner who operates with sense of urgency. • Flexible and solution- oriented.